Cyclonis Password Manager is a free, easy-to-use password management solution. Cyclonis Password Manager stores your website usernames and passwords in your encrypted personal vault. DUBLIN, IRELAND, February 15, 2018 /24-7PressRelease/ — Cyclonis Limited, a developer of software solutions focused on data management and organization, is proud to announce the launch of its first product – Cyclonis Password Manager. 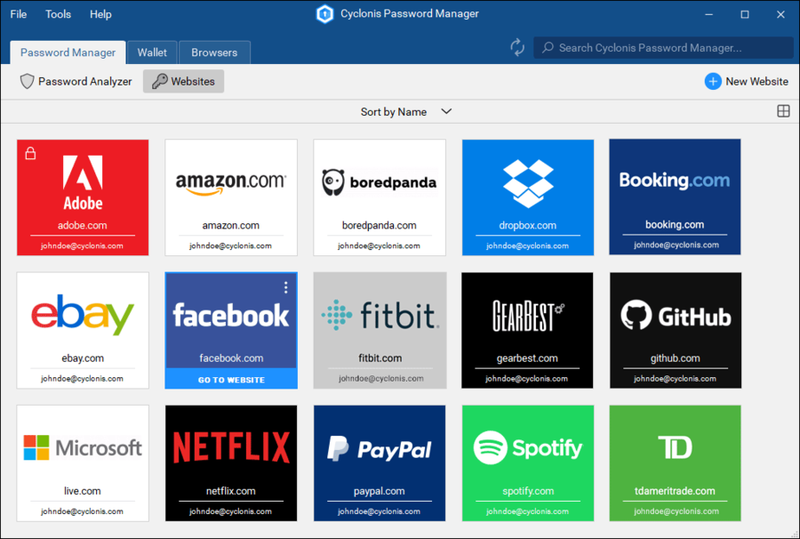 Available for Windows and macOS, Cyclonis Password Manager is a free, feature-rich password management solution built from the ground up to ensure that its users’ passwords and other sensitive data are encrypted in your personal vault and easily accessible wherever you need. Both the Cyclonis Password Manager desktop application and the accompanying browser extension are available free-of-charge and can be downloaded from https://www.cyclonis.com/products/password-manager/.